Scroggins Aviation is proud to be the first to privately own a CH-47F model Chinook cockpit (06-08028). This cockpit is being restored to its original condition, so it will resemble what it looked like while in service. It will be fitted to a steel frame for motion base work. The original instrument and display screens will be functional and made playback-ready for production work. The below image to the right shows it on delivery day at our shop. 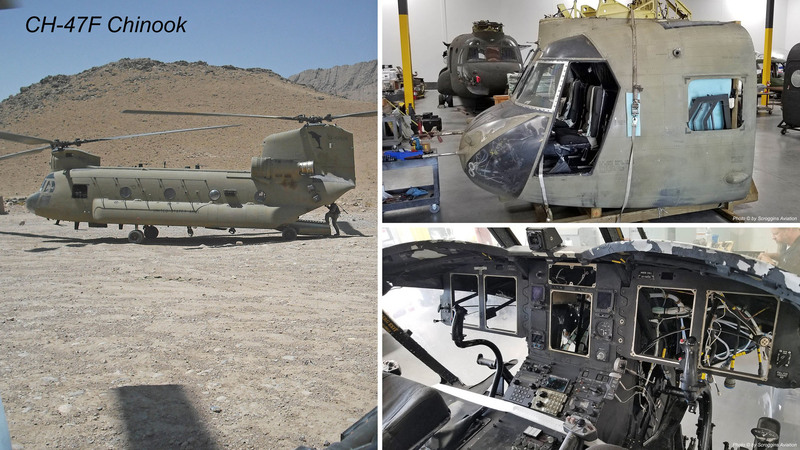 This Chinook cockpit has combat history. Bottom left shows it in service in Afghanistan.